Day 4 of 30days / 30designs began with a different tempo. Today was the first day where the admin and organisational part of this project really took toll. We began to understand that designing everyday for 30 days is more then the creative process, there are organisational elements and coordination factors. Even with this realisation Marina’s morning began with a routine spinning class. As you may know by now the Marina Schwan brand and the individual, are about balance, wellness and a healthy lifestyle. Therefore, it is import that we maintain these values during our 30days / 30designs project. Today the team arrived to a completed sketch. The idea played on button plackets and 6 asymmetric lines to destroy the classic silhouette of a blouse. As normal after the team discussion the design team started working on the patterns. But something was wrong, there was a lack of focus and a damped atmosphere in the atelier. Soon it became clear the original idea of the day had not captured the imagination of the team and of Marina. There was no magic to this design, thus no drive to focus. Marina chose to act on this feeling and stopped the design process. Everyone took a break to clear their thoughts and re-evaluate the design. The inspiration for today was to distort a classic blouse, which we all agreed was an inspiring concept. But the execution was the problem. So, we took a break and the blouse design changed. 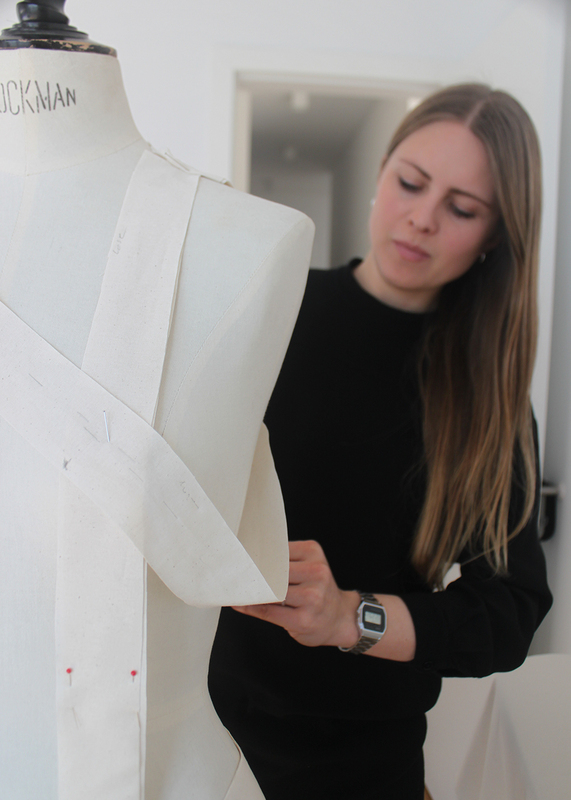 We stayed true to the original inspiration, deciding to continue with a distorted blouse. Day 4’s design is made up of 6 vertical lines that are evenly distributed. Each of these lines act as their own placket, meaning the blouse can be worn open and closed in several areas. This idea plays heavily on destroying a silhouette and creating a contemporary piece. 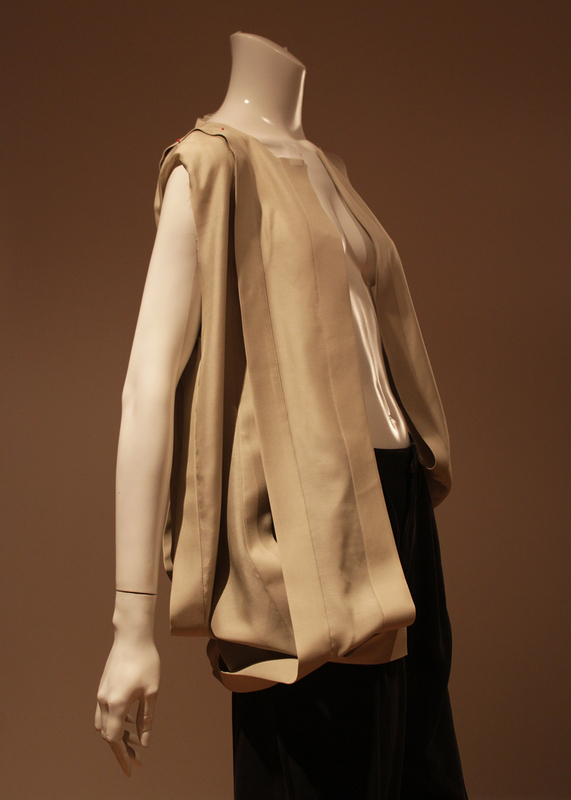 The blouse can go from looking clean and symmetrical to modern and asymmetric, dependant on the woman wearing it. Today, was our first difficult day, but don't mistake this for a lack of passion! Today we learnt it is ok to redesign and redo ideas and not have a set design from the beginning of the day. We adapted and changed which is ironic because day 4’s final design silhouette can be adapted and changed.